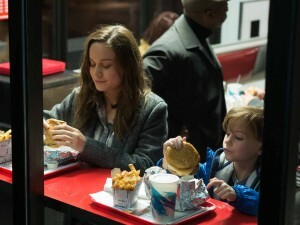 “When you are given a box, it is the only opportunity you are given to think outside of it,” stated Ethan Tobman, the production designer for Room, Lenny Abrahamson’s contained drama about Jack, a five-year-old (Jacob Tremblay), and his mother (Brie Larson) who escape forced confinement and then have to cope with an outside world that the boy has never experienced. Roughly 70 crew members also needed access to the small space to hit very precise technical targets, but that was not the only obstacle. 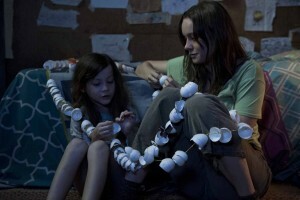 The production was faced with capturing the very emotional material between the mother and son that comprises most of the beginning of the film in the limited time the child was allowed to work on set each day. Tobman came up with an inventive solution. “From the very beginning I had a dream of approaching this as an inverted Rubik’s cube where we built the entire set modularly, which played well into the idea that old Nick (Sean Bridgers) would have had a limited budget, a limited education, and would be using acoustic tiles and cork tiles, which are by far the cheapest way to sound proof a space, and come in one foot by one foot panels,” Tobman explained. Instead of the traditional three-wall set, those tiles were employed to gain access to the room, while still retaining an intimacy that was beneficial for the performances. Probably more than any prior films, Tobman noted that he worked in tandem with cinematographer Danny Cohen. A skylight was the one source of sunlight in the room and there were only two practical lighting sources. The production designer did a lot of renderings on sunlight trajectories. The team experimented for a couple of weeks using Tobman’s computer models to see how the sun would traverse the room, taking into account the state, the month, the location, and the time of day. Through these tests they learned which wall tiles would be bleached from the sun. 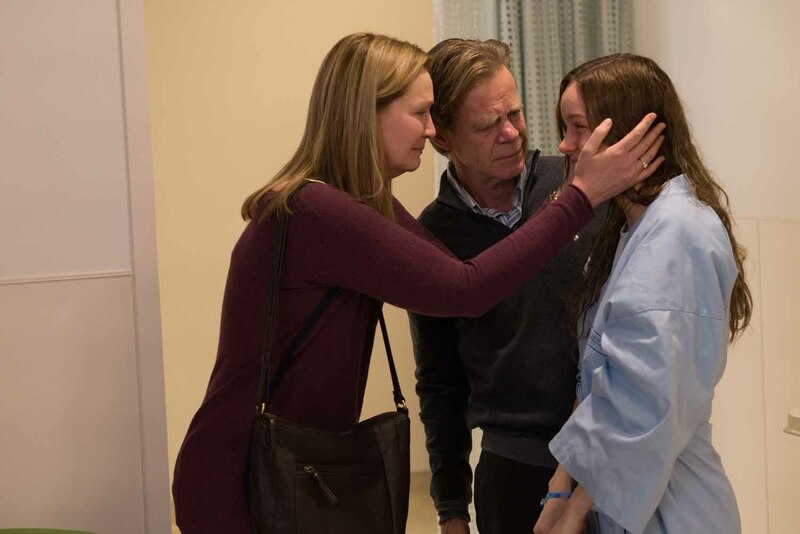 From the room, the action shifts to the completely white and sterile environment of the hospital, and then moves onto the mundane existence of middle-class living, including Ma’s bedroom that has been maintained exactly as it looked when she was abducted as a teen. Tobman was immediately drawn to the idea that room would be approached inversely per palette. It would be warm, textured and full of life, history and personality. “It would be safe to Jack,” said Tobman. Very conscious choices were made outside of the hospital to provide a suburban home that attempts to provide warmth and largely fails. Nuggets of plot, such as the fact that the Ma’s father (Bill Macy) has moved out since his daughter disappeared, were used to justify a degree of emptiness. Ma’s parents are a fragmented couple and half of their lives have been literally erased from the walls. The wallpaper, the carpet, and the bedroom that was built, also reflected some of the choices in room. 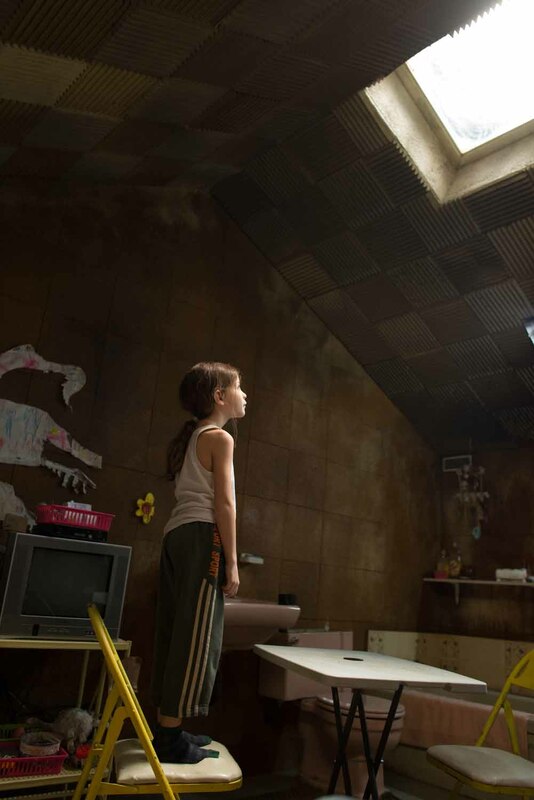 There is a wardrobe with louvered doors in Ma’s bedroom where Jack retreats to play that parallels the louvered wardrobe in room that is Jack’s safe place. In room Ma created a tree collage of drawings of Jack since she had no camera to capture his childhood. When her childhood bedroom is revealed, the wall sports a collage of her friends, models and actors. These design choices visually support both character and story. Although it was not a conscious choice on how he designed Room, the choices he made for Ma’s bedroom were validated by an experience Tobman had in college when he visited a female friend who was homesick. 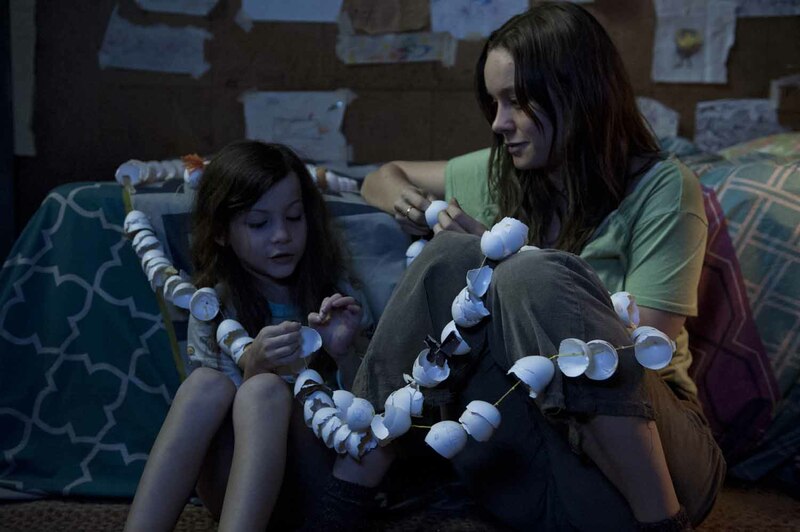 The decorating in the girl’s dorm room mimicked her bedroom back home. As a filmmaker, it was a life experience and inspirational clue that he collected that could be employed to bring truth to his designing. According to Tobman, every life experience should be tapped when dimensionalizing a fictional world.